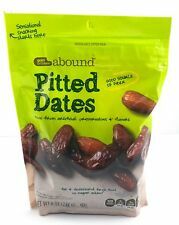 Pitted Dates Dried Fruit 8 OZ 0.58 lbs. Almond Butter - No Palm Oil - No Preservative - Gluten Free - No Sugar - Vegan. 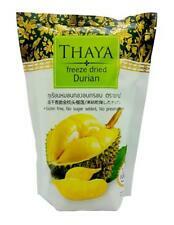 Thaya Premium Freeze Dried Durian Monthong King of Fruit 100% Natural 40 gram Authentic Product from Thailand, ship from USA! Durian is an exotic fruit. It is known in South East Asia as the "King of Fruit". Made from premium quality hand-picked durian, Monthong variety. Monthong Durian is the famous Durian of Thailand. It means "Golden Pillow". It is known for its sweetness, aroma, and smooth texture. 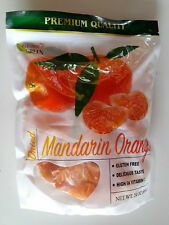 100% real fruit, no sugar, no color or preservatives added. This freeze dried durian can be eaten as snack or can be used as ingredient for desserts such as Durian sticky rice (Thai dessert), cakes, ice cream, etc. It can be soaked in warm water to get it soften. Freeze dried Tropical Fruit powder is is a natural and clever way to introduce extra fruit into the diet, as well as being a natural, safe colouring and flavouring. The powder contains no artificial ingredients, flavourings or colourings, just pure Tropical Fruit. Can be used to make wine and cider, muesli, cakes, pastries, fruit breads and various desserts. Perfect for tea or tea blends. The composition of essential oils includes acetaldehyde and esters of amyl alcohol with formic, acetic, caproic and caprylic acids. There's just one ingredient in this sweet snack -- bananas! Enjoy a delicious and nutritious snack with Craisins Original Dried Cranberries, 64 oz. 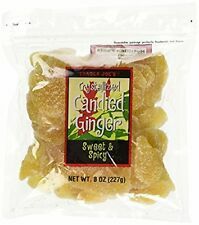 They can also be enjoyed straight from the bag. Resealable Bag. Serving Size 1/4 Cup. Gluten Free. We look forward to providing the best service for you! Gluten free - Vegan ! T he blessed month of RAMADAN is fast approaching. Emirates Dates - Premium Quality . High Quality un-pitted selected Emirates Dates. Pleasant Taste: Unique rich flavour with balanced sweetness. Sun Dried Jujube Berries (Fruit) Red Date. 100% Sun Dried Chinese Red Date. Expiry date: 18 Months or longer. Nutty & Fruity. Real Fruit - Naturally Gluten Free - Non GMO. Chili Mango. 30 Oz - (850g). FOR FRUIT OR FLOWER CORDIALS OR WINE MAKE SURE YOU'VE GOT YOUR. CORDIALS & WINE AS SOON AS YOU'VE PICKED YOUR FRUIT. MUSLIN OR NYLON NET STRAINERSSO YOU CAN GET MAKING YOUR. MANUFACTURE BOTH MUSLIN AND NYLON BAGS. MUSLIN OR NYLON NET STRAINERSSO YOU CAN GET MAKING YOUR. MANUFACTURE BOTH MUSLIN AND NYLON BAGS. MUSLIN: 16CM X 20 – 25CM X 25CM – OR MADE TO YOUR OWN SPECIFICATIONS. FOR FRUIT OR FLOWER CORDIALS OR WINE MAKE SURE YOU'VE GOT YOUR. DIRECTION OF USE. So, give us a try and we are confident that you will be back for more. These options include Our policy at My Beauty and Care is to process and despatch orders within 24 hours to ensure your goods get to you safely and quickly. 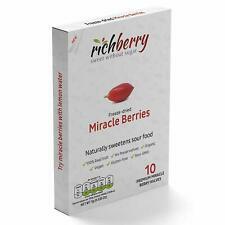 With real fruit extracts and no gluten, dairy, nuts, soy, or artificial colors and dyes. Good for us. Good for Mother Earth. Other Ingredients: Organic Evaporated Cane Juice, Organic. Dietary Fiber 0g 0%. The RealFoodSource and it's organic products are certified by The Organic Food Federation. Help fight organics fraud and buy genuine certified organic products. 100% Organic Mango. Our products are gluten, dairy and soy free and not what you will easily pickup at the supermarket. NET WT 24 oz ( 680 g ). High in Vitamin C.
Organic Figs. 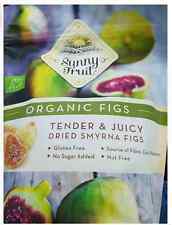 Tender and juicy, Dried Smyrna Figs, Gluten Free, No Sugar added, Source of Fibre, Calcium,Potassium, Nut free. The Sunny Fruit difference begins at the source - Ismir, Turkey. Here the perfect marrige of fertile soils and unique climate creates the most perfect Organic Smyrna Figs on earth. Gold Emblem Abound Pitted Dates are a sweet, chewy treat that is great for you. A good source of fiber, pitted dates make an all-around terrific snack. Gold Emblem Abound Dried Pitted Dates. 8 OZ . 58 lbs.